Journeys Canada Black Friday Deals: $39.99 Sneakers + Save 20% OFF UGG, Sorel & Timberland Styles + More! This Women’s Dr. Martens Pascal Boot is on sale for only $99.99. You’re saving $75.00 from the original price of $174.99! 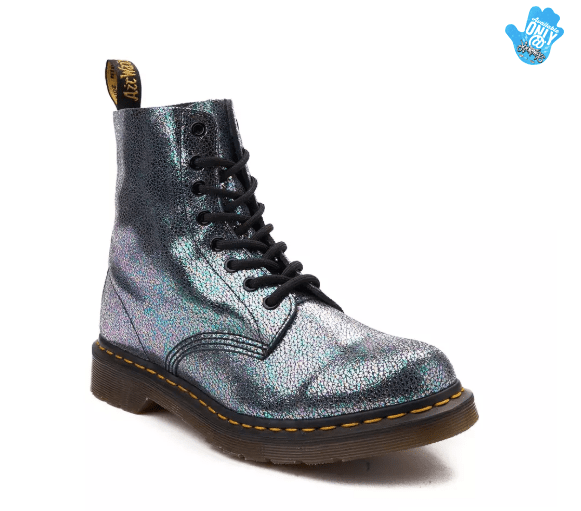 Lace up the signature style of the new Pascal 8-Eye Sparkle Boot from Dr. Martens! Make a shimmering statement with the Pascal 8-Eye Sparkle Boot, featuring bold, metallic leather uppers with a trendy crackle finish, and signature Dr. Martens air-cushioned sole for all-day comfort and support. Journeys Canada offers a flat shipping fee of $5.95 ($9.95 for Newfoundland) on all orders, with no minimum purchase.